A 20-year-old former Long Beach City College football standout was found shot to death Wednesday morning near the drive-thru of a Jack-in-the-Box restaurant in Long Beach. Officers received a call about 12:15 a.m. of a shooting near 52nd Street and Atlantic Boulevard and located a man with gunshot wounds to his upper body, according to Lt. James Richardson of the Long Beach Police Department. "You know who you are, you know what happened," Alford's father, Guy Alford Jr said, "I just want some answers." A father makes a plea to find his son's killer. Vikki Vargas and Lori Bentley report for NBC4 News at 6 p.m. on Sept. 26, 2018. According to a Long Beach police statement, "the victim was inside a blue Chevrolet Impala in a fast-food parking lot when the shooting occurred." 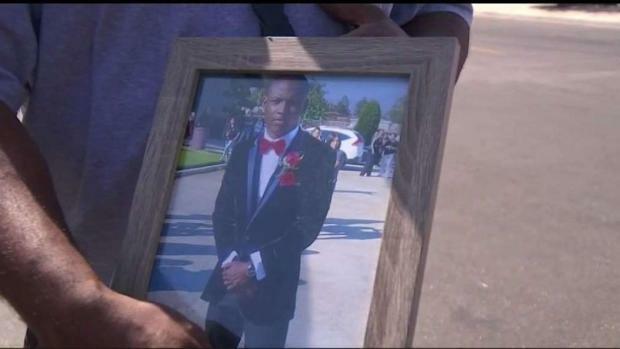 "Unfortunately that's what's happening in this type of neighborgoods," said Alford's father. 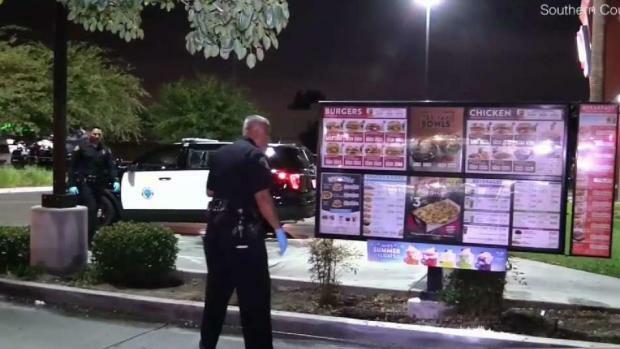 A shooter kills a driver near the drive thru lane of a Jack in the Box in Long Beach. The LBCC football program mourned his death on its Twitter feed in a posting that read: "A very sad day for our Viking family. Senseless violence. 'May the choirs of Angels come to greet you Guy!' Great team player but a better person! #StopThisNonSense Prayers go out to his family and friends from his LBCC family." Lacy told the Long Beach Post that Alford was hoping to transfer to a four-year school and continue playing football next spring. Pastor Eddie Jones from the Los Angeles Civil Rights Association said "I don't know who you are but put your guns down. We need to stop killing one another, killing our children and killing our future."